Do you have a nagging cough? If it lasts more than three weeks, it’s a sign that something’s wrong. And whether you smoke or not, a cough that doesn’t go away can be a sign of lung cancer. Persistent hoarseness, wheezing, shortness of breath or coughing up blood are also signs to call your doctor right away. Are you dropping pounds without changing your diet or exercise habits? Call your doctor – even if you think they’re pounds you need to lose. Losing ten or more pounds for no known reason can be a sign of pancreatic, stomach, esophageal or lung cancer. Have you recently felt a mass or lump right below your skin? This may be a sign of cancer. Lumps normally show up in the breast, testicles, lymph nodes and soft tissues, like tendons and ligaments. 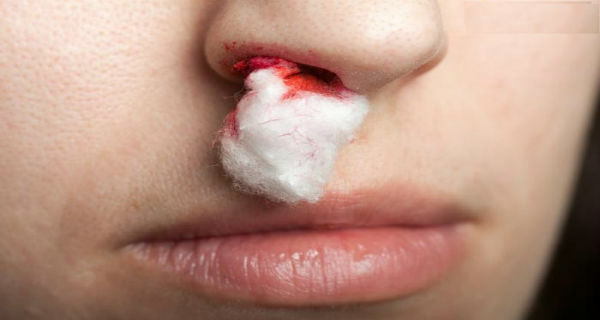 Here’s what to do: Report it to your doctor immediately, especially if you just found it, or it has grown in size. Changes in your testicles. Have you noticed changes in the size of your testicles, like one or both have gotten bigger? Maybe you’ve found a lump, or your testicles feel swollen or extra heavy. Any of these signs should send you straight to your doctor. Testicular cancer is most common in young and middle-aged men. Persistent Change in Bowel Habits. Persistent Change in Bladder Habits. Changes in your skin. If you work long hours outside or have a history of blistering sun burns, check your skin more closely. What you think are signs of hard work might actually be skin cancer. 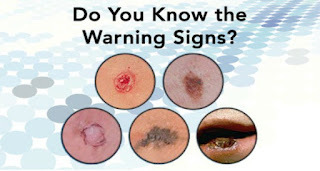 Look for unusual bleeding, scaling or sores that do not heal. Other signs include warts as well as moles and freckles that change in color, size or shape. Bottom line: If you’ve got a strange spot on your skin, call your dermatologist.